This may be the time of the year where you are like, "Man, I am such a giver. I embody the meaning of Christmas! But now it's time to treat myself." 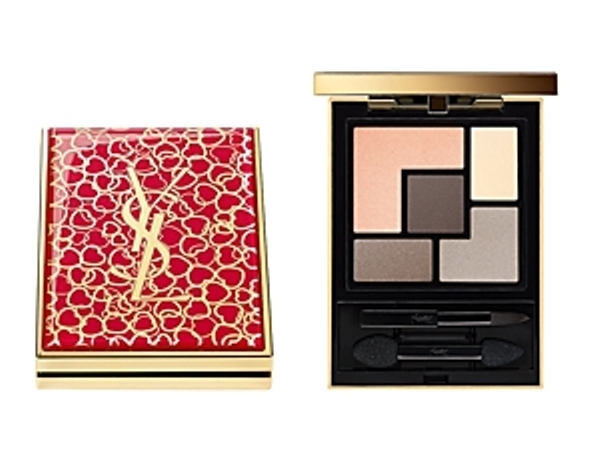 The Yves Saint Laurent Chinese New Year Couture Palette, Hearts Profusion Edition ($60.00) is the perfect way to treat yourself. I am in love with the packaging, a tribute to the Chinese New Year. Ring in the New Year with a glamorous look from YSL. Celebrate with the new limited-edition Chinese New Year Couture Palette in an iconic, fashion-inspired red and golden heart design. Reminiscent of Yves Saint Laurent's limitless passion for love, create a YSL signature look using the warm coral, taupe and rose gold shades for an illuminated eye look. YSL wishes you a lucky start to the New Year. I am a sucker for rich browns and nudes. Give me a palette with those colors and somehow, I always fall for them. This one looks just as tempting. What will you treat yourself with this month?